Length: 12.2 miles Click on the icons in the text below for photos. 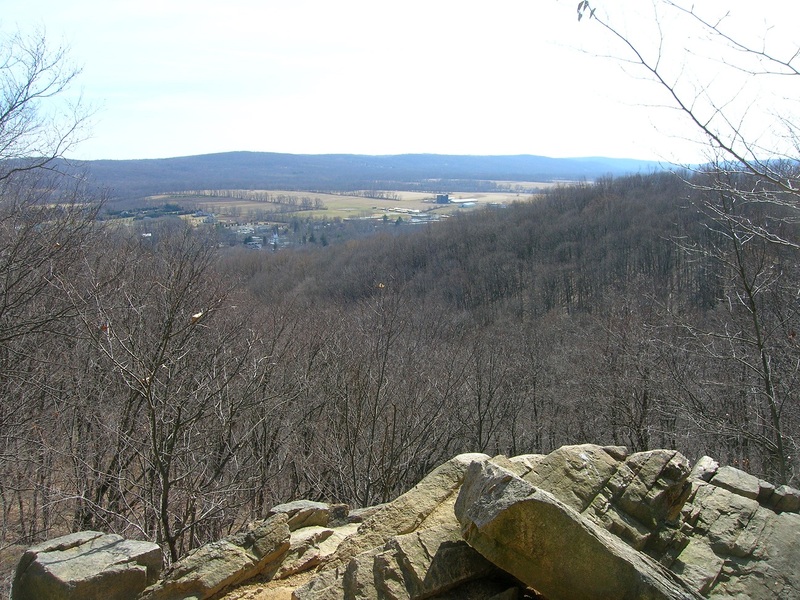 From the parking lot at Schooley's Mountain County Park follow the co-aligned Patriots' Path (white) and Highlands Trails mostly downhill and past a view point at an old quarry. Huge cut stones are visible below the view point. Continue down hill to Fairview Ave. at 1.1 miles, where parking is available. Cross Fairview Ave, pass through the parking area and a field, and turn right on the Columbia Rail Trail (Morris county portion), formerly the High Bridge Branch of the Jersey Central Railroad. Cross NJ Route 24 (Schooley's Mountain Road), where parking is available at 1.8 miles. Continue to follow the Columbia Rail Trail south from Schooley's Mountain Road in Long Valley. At 4.0 miles from Long Valley, cross Route 513, where parking is available. Continue on the Columbia Rail Trail (Hunterdon County portion) to Califon at 8.1 miles, where there is parking. Stay on the rail trail, crossing the Raritan River on a former railroad trestle at 10.6 miles. At 10.8 miles, turn sharply right and ascend the west side of the gorge on three switchbacks, the middle one being quite long. The ascent becomes more gentle at 10.9 miles. Continue through saplings and past stone walls, turning right onto an overgrown woods road at 11.2 miles. Turn left off the woods road at 11.3 miles, shortly reaching a dirt driveway. Follow the driveway right to Route 513 at 11.6 miles. 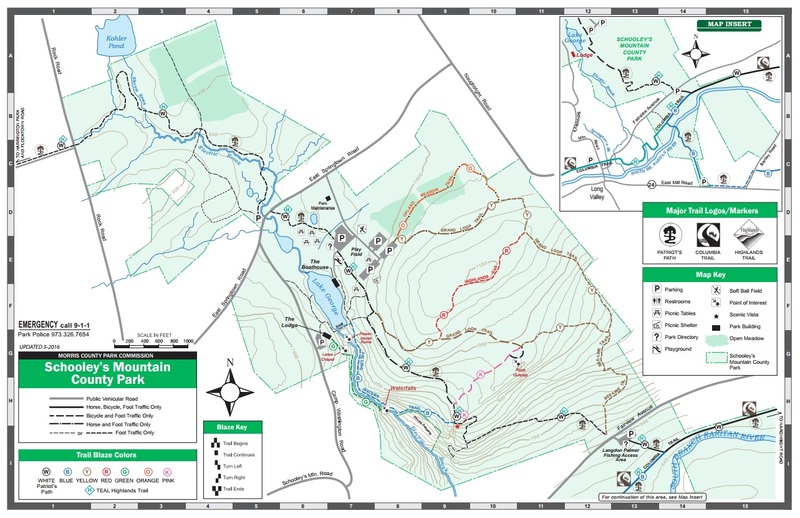 Turn left, reaching the Voorhees State Park entrance at 12.2 miles, where there is parking. Alert: Blazes between the Columbia Rail Trail and Route 513 may be painted out, due to recurrent vandalism.